A redevelopment agreement,is an agreement for the restoration of an old building, between the residents and the developer. But it’s not as simple as it sounds; the housing society needs to exercise necessary caution to ensure that the residents’ interest is safeguarded. “Even seemingly simple things such as getting the redevelopment agreement registered with the sub-registrar or then, paying proper stamp duty are very important in such a deal,” says Navdeep Co-operative Housing Society secretary, Girish Pradhan. 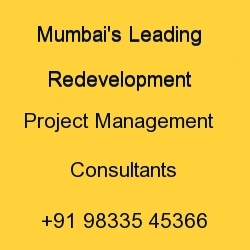 In most cases, the developer negotiates the deal of restoring an old building with the managing committee of the society. “In which case, the onus is on the managing committee to ensure that the interests of the residents are protected and they need to take all the precautions,” offers Pradhan. “It’s advisable to discuss the agreement in detail at the general body meeting so as to arrive at a consensus, about the terms and conditions, in order to avoid later hassles,” he maintains. As with any property dealing, when it comes to a redevelopment contract, it’s of utmost importance to ensure that the developer has a sound reputation. “If possible, the members of the managing committee must visit the site of some of his previous projects, so that they get a first-hand information about the developer,” says the CHS secretary. Considering that the property of so many residents is at stake, it makes sense to seek the help of professionals in getting a clear picture about the dealing that the society is entering into. “Sound advice from professionals such as lawyers, architects, engineers, before signing on the dotted line is sure to help the society make a responsible decision,” offers High Court advocate, Prem Sood, as he goes on to add that it is reasonable to hire the services of a technical supervisor who can keep a check on the work done by the developer. In order to ensure the smooth implementation of such a contract, the respective obligations of the developer and the CHS members and the consequences of the breach, if any, need to be put down in writing clearly in the agreement. “For instance, the time of completion of the project and the consequences of non-completion in the stipulated time must be specified in the contract so that the developer doesn’t drag on the work,” says Sood.